Motivate your family with this free printable for lunch notes or pick me ups. 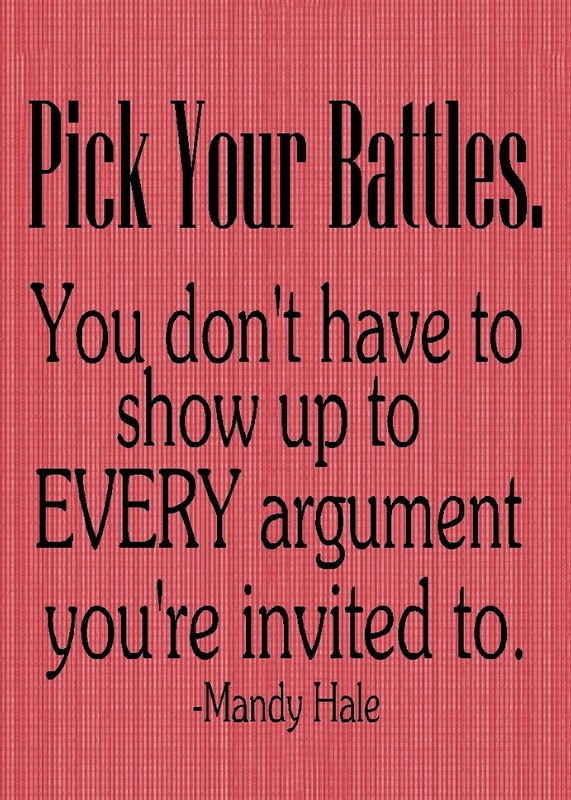 "Pick Your Battles. You don't have to show up to every argument you're invited to." It has been a week. There has been so much stress and sickness going on at our house that I feel like the kids are nitpicking each other to death. I'm about ready to lose it. I am so over this. So this week's Motivational Monday free printable is a quote I'm hoping to plaster all over my house this week. 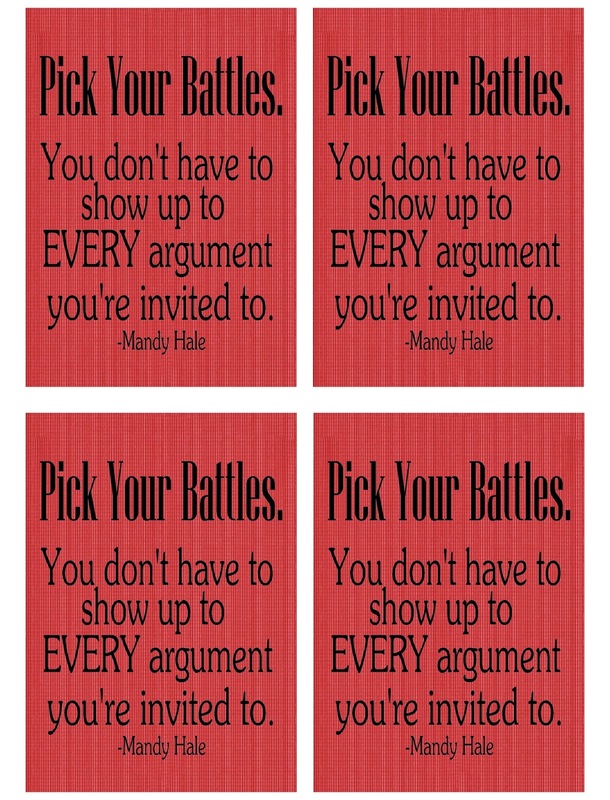 "Pick Your Battles. You don't have to show up to EVERY argument you're invited to." 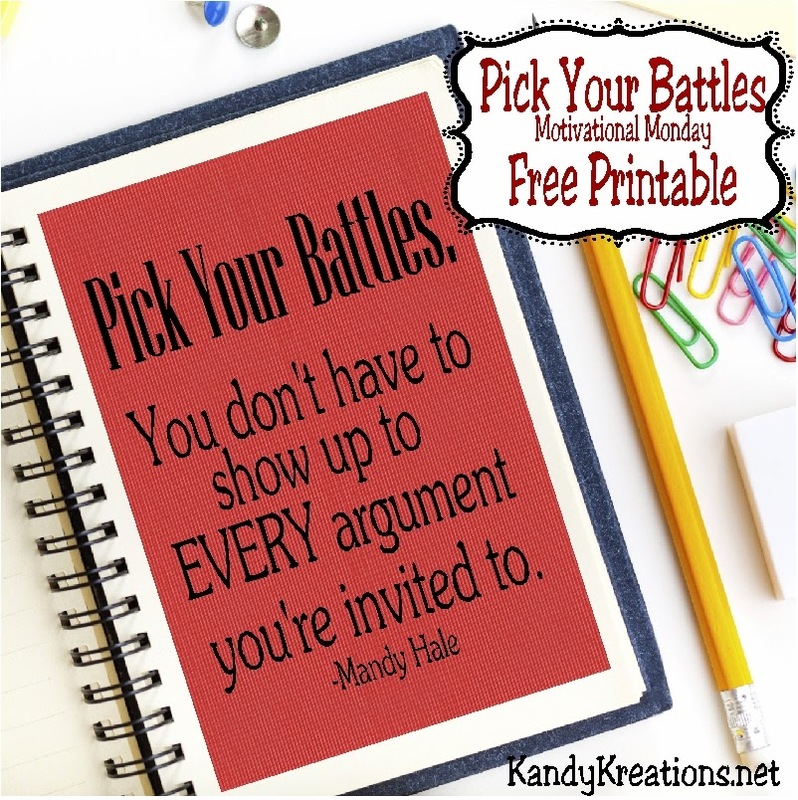 This quote by Mandy Hale should be perfect for my family this week. Hopefully they will realize they don't have to take the bait every time someone says something. We don't have to make an argument out of EVERYTHING. Please, someone, tell me it gets better!? !